Brauhaus is having a Sweetheart Special. Get one appetizer, two entrees, a bottle of wine and two desserts for $59.99. 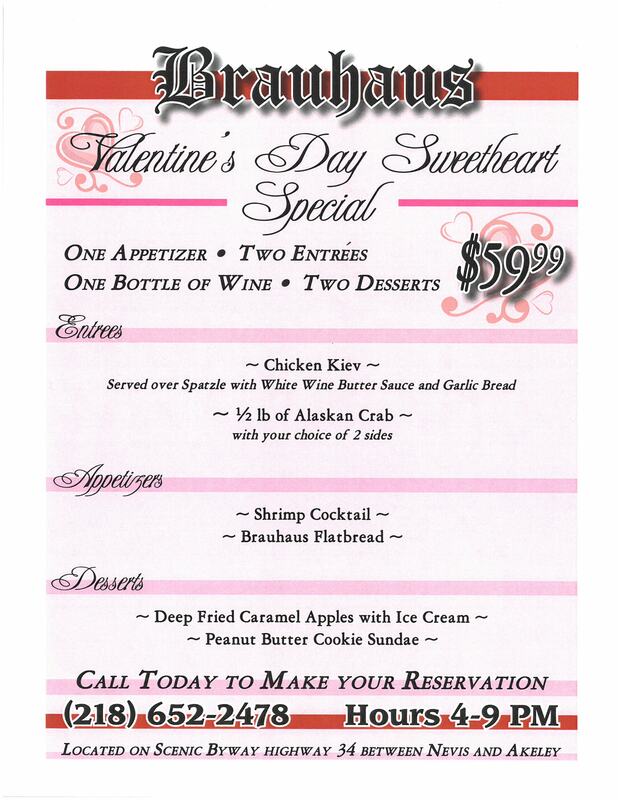 Call today to make your reservations 218 652-2478. 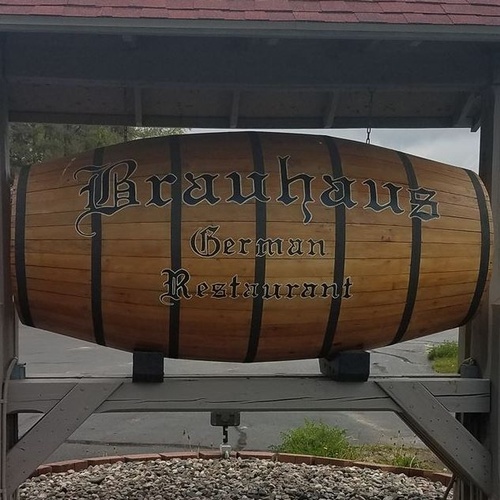 Brauhaus is located on Scenic Byway Hwy 34 between Nevis and Akeley.